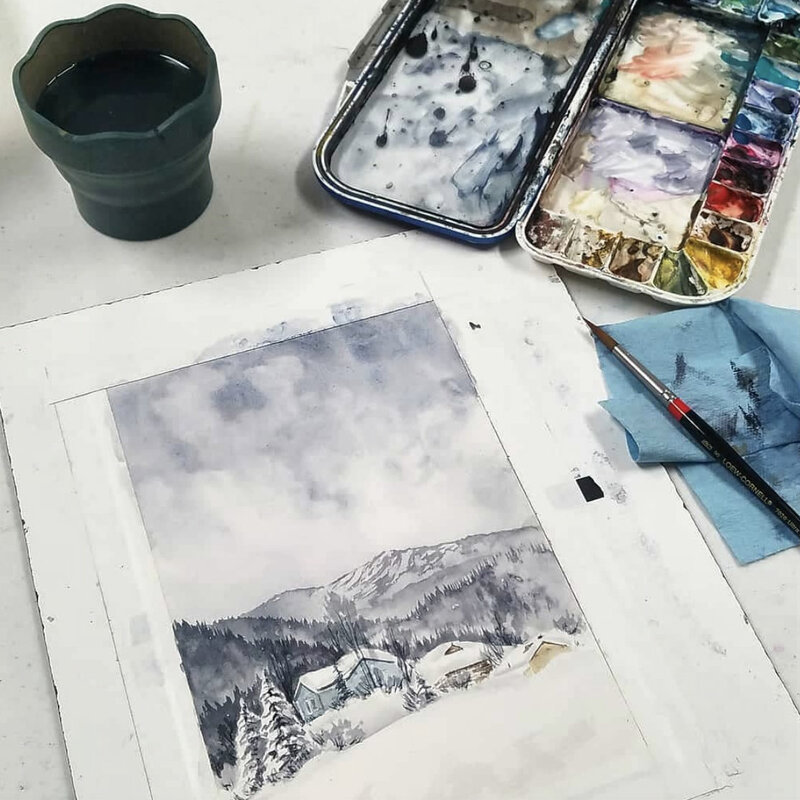 I am currently taking a watercolor class with Utah artist, Tom Howard through the Midway Artist Association. It is super helpful to watch an artist in action to see how they produce what they do. From watching them mix colors, to seeing how they hold their brush, the strokes they make and much more. Now three weeks in, I can say I'm learning a lot and am very excited to spend so much time painting in watercolor. 1. Paint top to bottom - start at the top, work down. 2. Paint back to front - start with background objects and move forward. 4. Paint general to specific - save the details for the end.